The end of the Eighteenth Dynasty seems to be the subject of endless fascination and one might think that the number of books already published on this period were sufficient. However, interpretation of the evidence is always being updated and as many books simply repeat the assumptions and assertions of earlier authors, ignoring most recent research, this book is indeed welcome. Interestingly, the author himself states in his preface that some of the views he puts forward in this new book are different from those he published previously in other volumes. The recent DNA test results on the royal mummies were not available when the book was written, so the author must have breathed a huge sigh of relief to find that one of his main assertions, that Tutankhamun was the son of Akhenaten, has been confirmed scientifically. On the other hand, the tests seem to have discounted Nefertiti as the mother of Tutankhamun, as the author proposes. There are many other areas where historical evidence and science cannot, at the moment at least, help to unravel the complexities of this period. 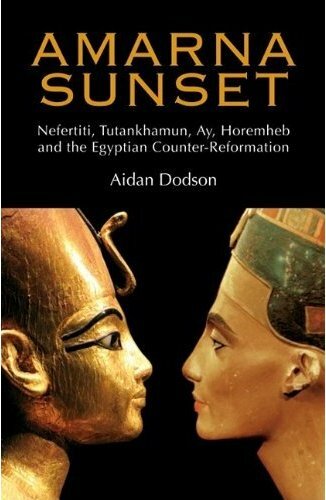 For example, the author’s assertion that Nefertiti was co-regent with Akhenaten and subsequently co-regent with Tutankhamun cannot be proved. He also argues that the body in KV55 is Smenkhkara (a son of Amenhotep III). The arguments and discussions around this period will no doubt continue, but the author argues his case well for the assumptions made and for his interpretation of the evidence. For the time being at least, this account is likely to be one of the more reliable and better researched. There are those whose interest in Egyptology is focussed upon the personalities of the great pharaohs; there are others, like myself, who are captivated by their monuments. As such, I have been less interested than many by the details of the genealogy of the Amarnan period. I found the many conflicting theories as to the identity of this mummy or that, or even as to whether certain pharaohs even existed, so confusing that I was inclined to say “So what?” Dr. Dodson’s book has changed all that, for he has achieved the monumental task of listing the relevant facts without losing the reader in a morass of detail. The result is a concise and highly readable text. The most likely sequence of events is clearly laid out, but alternative possibilities are not ignored. It is clear that the only actual evidence for the existence of a person or a major building project often consists of a single badly-damaged inscription here or a re-used building block there. If the author’s conclusions are disproved, it scarcely matters, for it is easy for any reader interested in a particular facet of the period to find out the basic facts, and then, using the footnotes and bibliography, find out all the currently available information; it is here that the true value of this work lies. Incidentally, it was gratifying to note that an article published in AE was quoted as a significant source of data. My one small criticism of the book is that Dr. Dodson has been poorly served by whoever undertook its final proof-reading. There any many instances where the reader is referred to the wrong appendix, map or figure. For my own part, I now know much more than before about this complex and fascinating period of Egyptian history and exactly where to look when I need to remind myself of what the evidence is for the existence of a pharaoh called Neferneferuaten! Published by American University in Cairo Press, 2009. ISBN 978 977 416 304 3. How refreshing it is to find a new general introduction to Ancient Egypt written by a well known and respected Egyptologist! All too often, publishers use non-Egyptologists for publications intended to be ‘popular’, which causes no end of problems and inaccuracies. The author is well known for her publications, research and appearance in TV documentaries and her role as a teacher means she is ideally placed to realise the importance of a really good introduction to the subject. The chapter headings clearly demonstrate range of the book: The Black and the Red: Geography and Environment; Travellers, Thieves and Scholars: the History of Egyptology and Egyptomania; Recreating Ancient Egypt: Sources and Methodologies; Shadows in the Sand: Egypt’s Past; Maintaining Egypt: Religion; Kings and Commoners: Egyptian Society and Government; Town Life and Country Life, From Sunrise to Sunset: Daily Life of the Ancient Egyptians; and The Living and the Dead: Mummies, Tombs and Mortuary Cults. I am often asked for recommended reading for anyone new to ancient Egypt and, until the publication of this book at least, I have often struggled to make sensible suggestions, for rarely does one book fit the bill. This book is the answer to that quandary and I am sure that it will become the ‘must-read’ book for anyone beginning to study the subject, or who wants to find a really good overview in one volume. The book is well written and illustrated; unlike many new books on this subject, the photos do not take over the volume, for it is the text that is all-important. A good bibliography provides further reading for those who are inspired to find out more. Published by Cambridge University Press, 2010. Paperback, ISBN 978 0 521 675987, price £16.99. Hardback, ISBN 978 0 521 859073, price £45. Using fifty examples of ancient Egyptian art, this book seeks to ‘decode’ the images and parts thereof. To explain how, it is best to describe one of the examples, an illustration from a papyrus now in the British Museum showing Rameses III before the gods of Memphis (part of the Great Harris papyrus). A large illustration of the scene covers a two-page spread (which is the format for many of the other entries) and, unnecessarily perhaps, it is shown again in full on a half-page spread. Elements of the scene are cut out, reproduced and described. So … the heads of the deities depicted on the papyrus – Nefertum, Sekhmet and Ptah – are shown along with a description and information about them and their clothing etc. The format works well and is much better than a written description where one has to hunt in the scene for the specific areas described. The information is concise, clear and accurate, which it means that readers can get much more out of each of the scenes than they might otherwise do, for everything depicted is there for a precise reason and has a meaning and function. 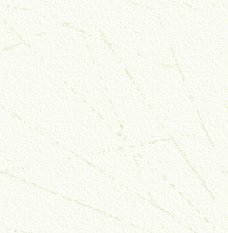 The unnecessary duplication of many of the images is a minor annoyance, and some of the colours on a few of the images are suspect. I suspect that many of the images used are ‘old’, insofar as the image of one of Tutankhamun’s coffins is, I know, one of the first colour images taken and dates to the late 1960s. Several images from the well-known tomb of Queen Nefertari were taken before the conservation work was completed there a few years ago. 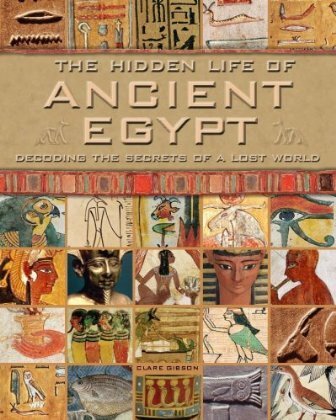 There are a few incorrect picture captions, always a problem when images are not provided by specialist picture libraries or where the authors are not themselves Egyptologists, but that said, the book is useful, with a wealth of information, presented in a novel and interesting format. Luxor is regarded as the greatest outdoor museum in the world with its proliferation of outstanding monuments, from temples to tombs. The author is a writer and photographer based in London who has put together a volume of excellent photographs, not just of the immediate Theban area, but of other major sites such as Abydos and Dendera to the north of Luxor and the many sites upstream to the south, including Kom Ombo, Edfu, Aswan and Abu Simbel. All these sites are places often visited by people travelling directly to Luxor for a holiday and then perhaps joining a Nile cruise for the journey to Aswan. As a souvenir, this is a nicely illustrated publication. However, apart from the photographs taken inside tombs and museums, where photography is banned, and in the Valley of the Kings where it is also now banned outside the tombs, many of the images, good as they are, are no better than those that can be taken by any tourist with a decent camera and a reasonable eye. 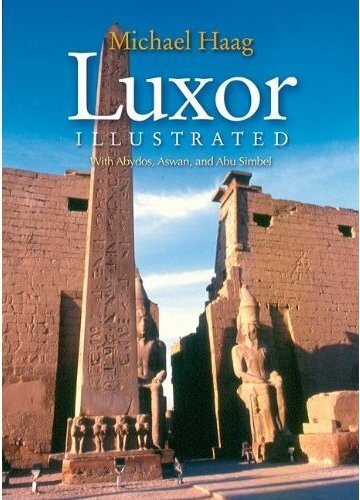 Perhaps this would make an ideal book to buy before making a first visit to the Luxor area. The basic text gives information about the many major sites, and the photographs may inspire tourists to compile their own, more personal, photographic souvenir of their trip. Published by The American University in Cairo Press, 2009. ISBN 978 977 416 312 8. 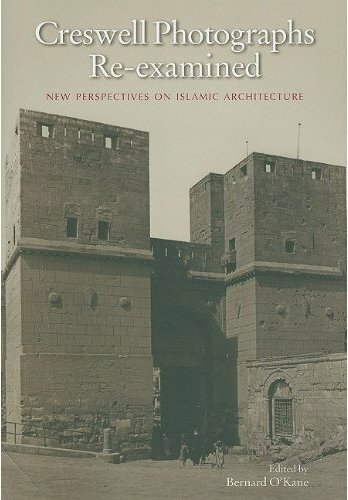 Anyone interested in Islamic Architecture, particularly in Cairo, will find this new publication fascinating. The Creswell photographic archive at the American University in Cairo holds over twelve thousand printed images of Islamic architecture, mainly in Cairo, but also including buildings in other important cities such as Córdoba and Baghdad. Photographs taken by K.A.C. Creswell himself constitute the majority of the collection, but he also assembled work by photographers active in the decades before he began his own systematic recording in the 1920s. This volume seeks to highlight the value of the collection for scholars. In many cases the buildings that feature in the photographs either no longer exist or have been altered. These unique and important images enable us better to understand various aspects of these significant buildings. The many expert contributors discuss such issues as epigraphy in domestic and religious architecture, and the use of early photographs as guides for modern restoration. As readers will know, the Egyptian Supreme Council of Antiquities is responsible for the Islamic heritage of Egypt as well as the antiquities, and a number of significant Islamic buildings either have been, or will be, restored. This is where photographic evidence, such as that included in this book, is invaluable. ISBN 978 977 416 244 2. Sometimes it can seem that there is an over-abundance of books on ancient Egypt, but only rarely does a publisher have the vision and ambition to produce a major work covering ancient Egypt and the very latest aspects of Egyptology. The Companion to Ancient Egypt is the kind of book that comes along oh-sorarely, one that sets out, as it states on the cover, to offer an ‘unprecedented breadth and depth of coverage’ on the subject. The boxed two-volume set, with a total of 1,276 pages, contains nearly fifty specially-commissioned essays by a truly international team of leading scholars. Volume One is divided into sections that cover The Land of Egypt (the physical context of the country); Historical Narratives, covering the sweep of Egyptian history from prehistory to the Roman Period; State and Economic Structure, which looks at subjects including administration and law, the role of the Pharaoh, economics, science and technology and transport; and The Social Order, which looks at daily life and religion. Volume Two has sections on Language and Literature; the Visual Arts; and finally on the Reception of Egyptian Culture, which looks at how we see and understand ancient Egypt today. I will admit to having a more than passing interest in this publication, for I have contributed in a very small way by writing the section on Transport. I don’t think that stops me having a broader view of what, by any standards, is an impressive publication; your Editor apart, the list of contributors is a veritable Who’s Who of Egyptologists, all experts in their various fields. I can’t list everyone here, but contributors include many names with which readers of AE will be familiar, including Sally-Ann Ashton, Betsy M. Bryan, Aidan Dodson, Rita E. Freed, Alan B. Lloyd, Christopher Naunton, Hourig Sourouzian, Neal Spencer, Kasia Szpakowska, Helen Whitehouse, Toby Wilkinson and Penelope Wilson. Each essay is well illustrated (mostly in black-and-white, but with some colour plates where colour is important in areas such as the visual arts) and, whilst I have not as yet read them all, the ones I have are well written, clear and concise. The book has a comprehensive index, which enables readers to locate subjects of interest to them easily and efficiently, and a vast bibliography compiled by the contributors for further reference can be found at the end of each volume. I can appreciate the huge amount of work that has gone into the production of this publication, not just by the contributors of essays, but especially by the editor, Professor Alan Lloyd, who has overseen what I know to have been a long, complicated, but important process. The end result is a publication which does indeed provide ‘unprecedented breadth and depth of coverage’ on the subject. Do not be put off by the price of this book, which is not cheap; put into context, one could buy five or maybe six ‘popular’ books on ancient Egypt for the same money, but they would contain not one quarter of the useful, up-to- date and accurate information provided by these two volumes alone. 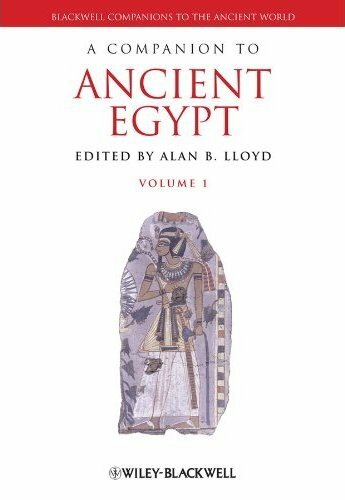 If ever there were a one-stop publication on ancient Egypt suitable not just for the serious student (for this should be, and I am sure will be, essential reading) but ideal for those new to the subject, this is it. Save your pennies and invest in the Companion. I know it will become one of only a handful of books in my own collection to which I will constantly refer. Boxed hardback, 2 volumes, price £200. The diaries of Muhammad ’Ali Effendi Sa’oudi, a civil servant and accomplished photographer, offer a rare glimpse of the Hajj through Egyptian eyes at the beginning of the twentieth century, when the Ottoman Empire was on the wane and the advance of the Hijaz railway threatened to upset vested interests in the old pattern and ways of making the holy pilgrimage to Mecca. 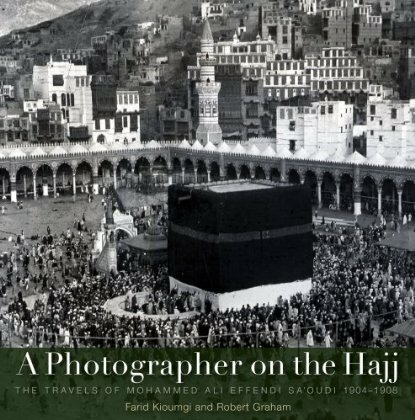 His story of his two journeys combines the thoughts of a devout Muslim with fine detail on the hardships and health hazards facing pilgrims, the high-level intrigues, and the ever-present dangers of taking photographs, something not appreciated at the time, and to some extent still discouraged today. The authors have compressed the diaries into a highly readable narrative with selected quotations, lavishly illustrated with Sa’oudi’s remarkably good photographs. The survival of this fascinating and probably unique account of the journey, and of the remarkable and evocative photos, has resulted in very readable and enlightening publication. ISBN 978 977 416 290 9. The prolific author of this book is best known today for being the creator of the Wizard of Oz. 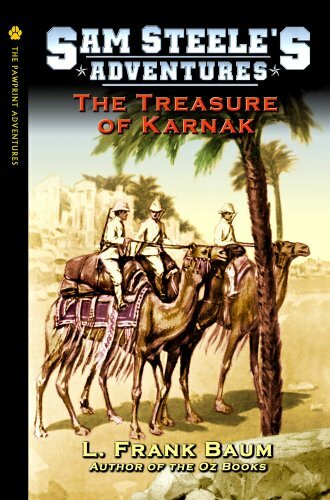 The Treasure of Karnak was first published in 1908. It is the story of boy-adventurer Sam Steele’s thrilling and dangerous quest to find an ancient Egyptian treasure of great value. Sam Steele can undoubtedly be seen as an earlier literary version of Indiana Jones; the hero gets involved in all manner of scrapes, such as pits filled with scorpions, traitorous allies, murdering desert tribesmen and mad camels, all to eventually discover the hiding place of the legendary treasure of Karnak, The novel is very much of its time, the assumption being that it was perfectly correct to ‘rescue’ the ancient treasures and remove them from Egypt. As such, the novel was filled with cultural and racial prejudices, which would not be seen as acceptable today. Some of the worst examples have, we are told, been edited out of this edition. Written for teenage boys, it is perhaps surprisingly violent for its time and its historical accuracy is of some dubious quality; but having said that, it is no worse than many novels set in Egypt written in the last one hundred years, when authors should have known better. 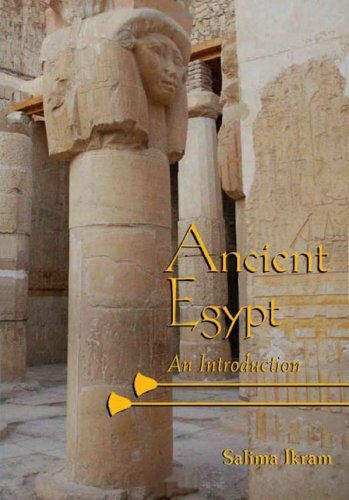 This edition has an excellent introduction by Egyptologist David Moyer, who provides some background on the author, on the Egypt of the early 1900s and on the ancient period relevant to the novel. This is supplemented by extracts from Baum’s own account of a trip he made to Egypt in 1906. Published by Hungry Tiger Press, 2009. ISBN 978 1 929527 25 0. As well as visiting and exploring the Nile Valley, few of the early travellers to Egypt could resist the lure of the beauty and stillness to be found in Egypt’s deserts. Travellers sought the solitude of the desert, the quiet, and the time to reflect and contemplate, but all seem to have been fascinated and affected in some way by their memorable experiences. They faced real dangers, both manmade and natural, encountered those who lived and travelled in a hostile environment, and described the rough natural beauty of the landscape and its flora and fauna. Divided into sections with the headings The Deserts of the Imagination and Reality, The Western ‘Libyan’ Desert, The Eastern Desert and Sinai Peninsula, Preparations for the Journey, Starting Out, The Desert Day, The Desert Night, Nature in the Desert, Experiences of the Desert, The Threats of the Desert, The People of the Desert and The Return to the World, this is a truly fascinating compilation of accounts by an impressive selection of desert travellers through the ages (going back as far as Herodotus, with the first European account dating to 1492). The majority date to the nineteenth century, but some are much more recent. Clearly the lure of the desert is still strong! Many familiar names are included, such as Belzoni, Lepsius and Alexandre Dumas. These accounts were often written as private diary entries, sometimes to explain and describe the experience to others. 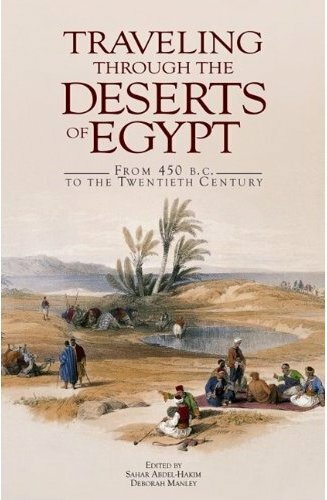 Most were written before the advent of photography, so it is the descriptive skills of the individual authors that bring the deserts of Egypt to life. ISBN 978 977 416 313 5. RP and PP are the Editor and Deputy Editor of AE.